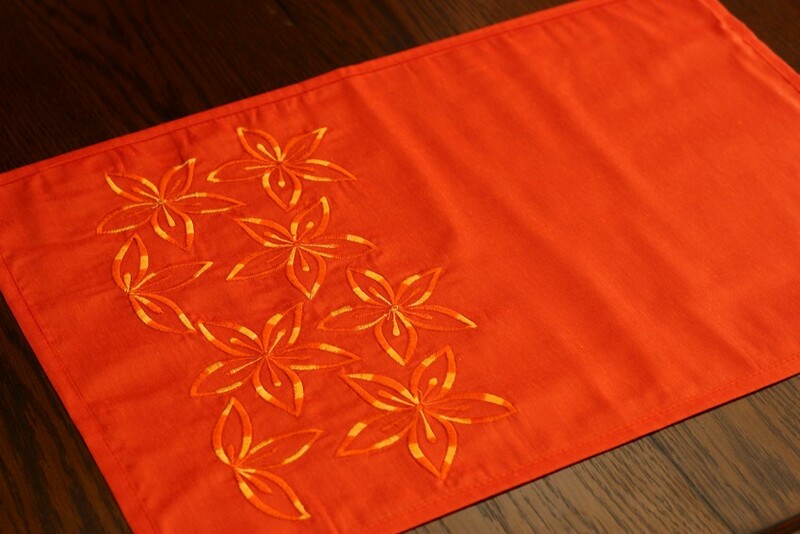 Bright colors and a bold floral design are embroidered on a clean, solid background for a beautiful and unique look. 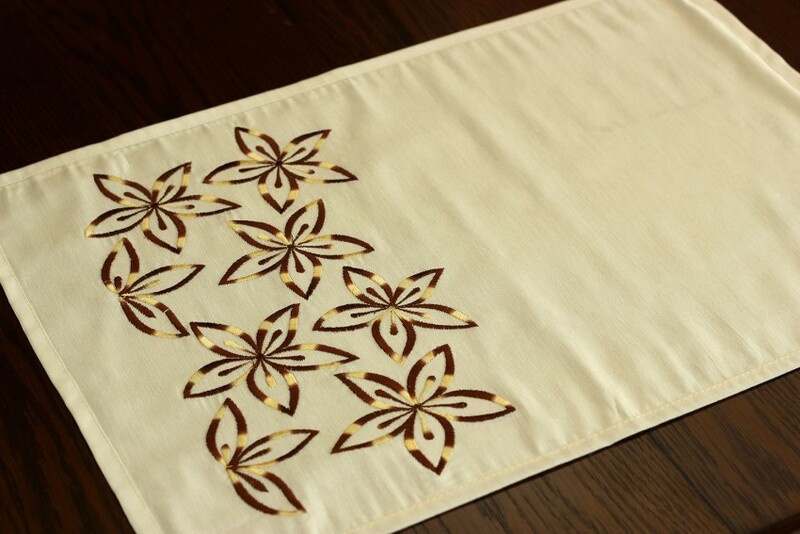 This gorgeous placemat set is the pinnacle of modern design with a tropical twist. 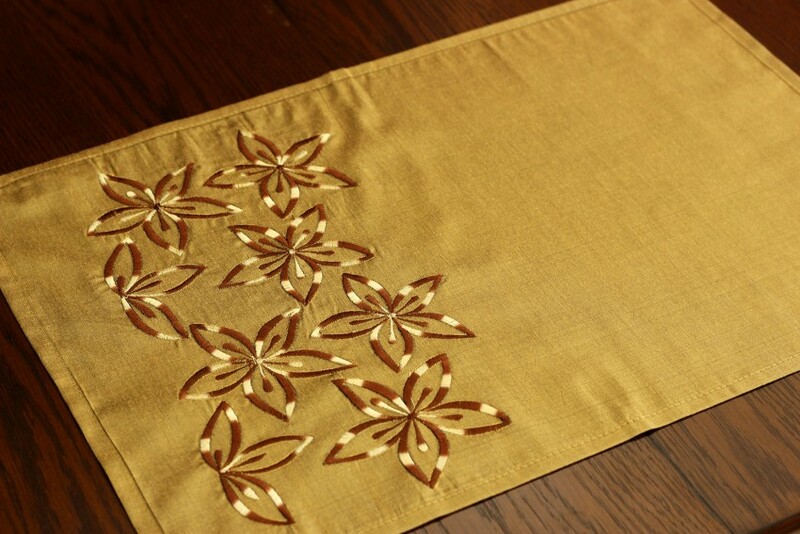 Whimsical flowers are carefully embroidered on the bottom third of the placemat, creating a dazzling look that works well for both casual and upscale dining. 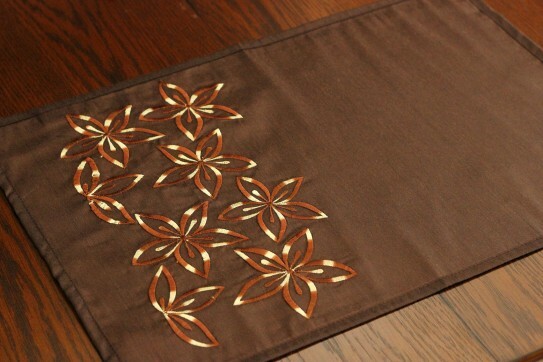 Beautiful, bold colors are brought together in this creative design, and these placemats are an excellent choice for bright, airy dining rooms. If you’re looking for dining room decor that is “outside the box,” look no further than this striking placemat set. 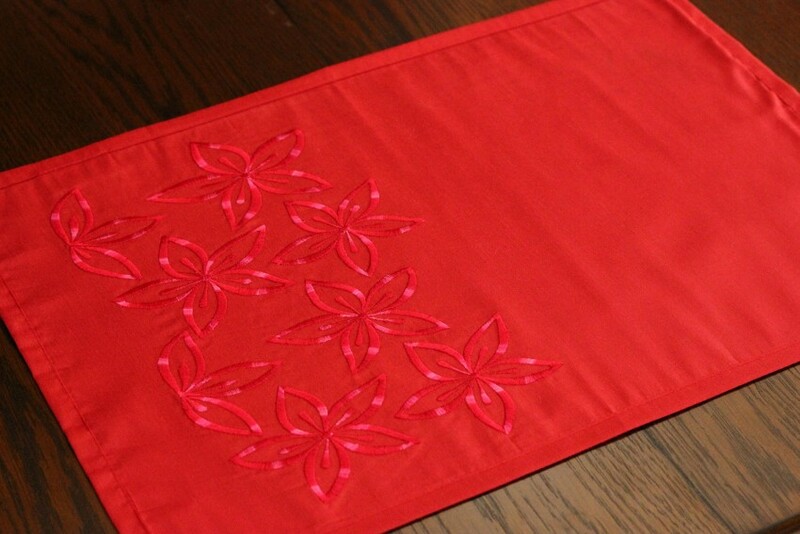 The beautiful fabric is blended from cotton and polyester, and is hand washable. Gently iron at low to medium heat.